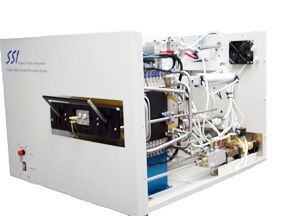 The Solaris Eclipse is a manual loading RTP system built typically for the R&D and pre-production environment capable of Vacuum. Our vacuum systems are custom made per customers specifications. Alternative choices to using a vacuum can include the use of a dry-box. If you have a specific design requirement or a special situation, please contact a Surface Science representative.